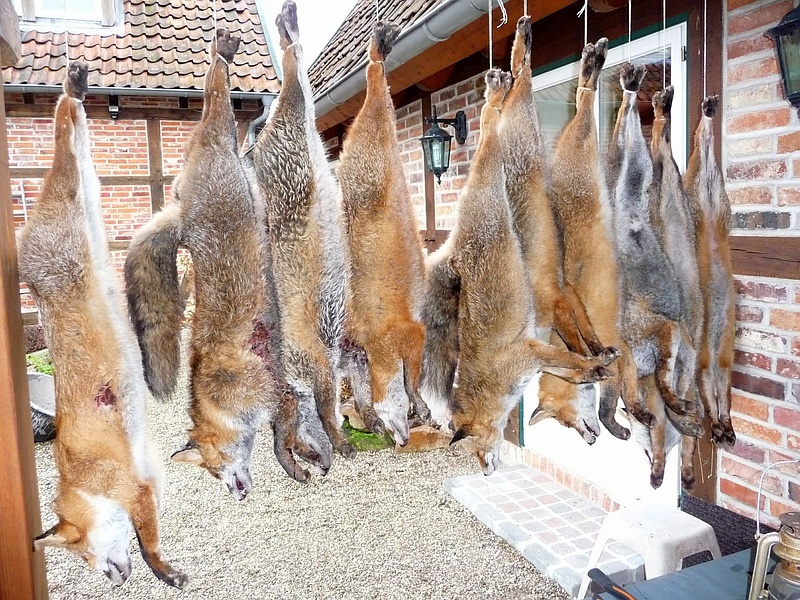 Fox weeks in “civilized” Germany!! Please visit and sign as many petitions as you can – updated 28/1/18. 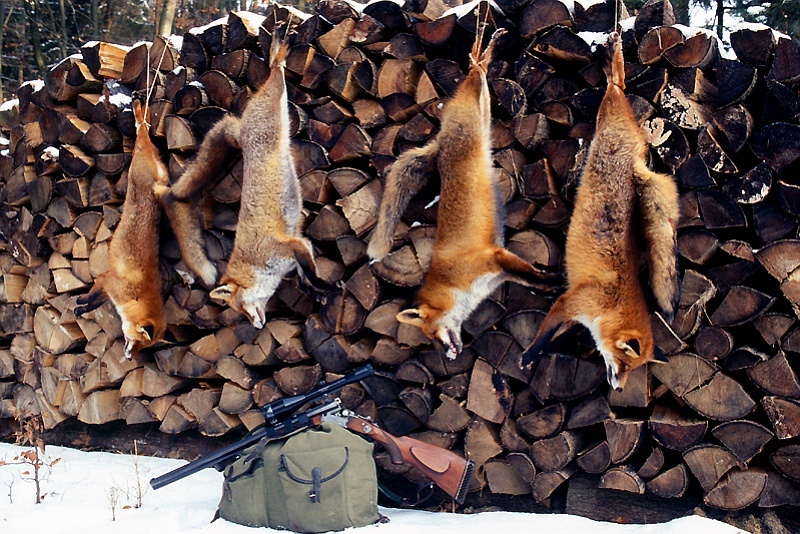 What happens if we use the keyword “fox hunting” in Google? 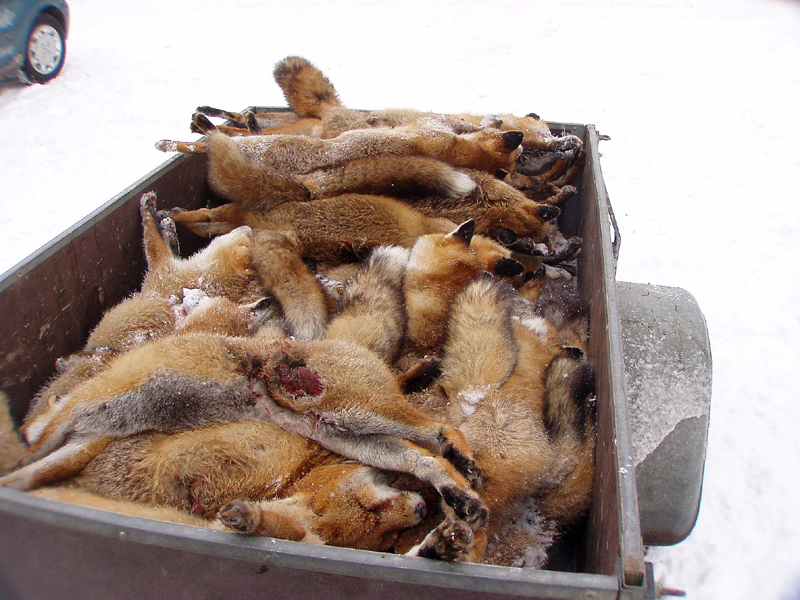 Comes a horror result: half a million foxes kill 381,821 hunters annually, hunters who I call psychopaths of the forest. 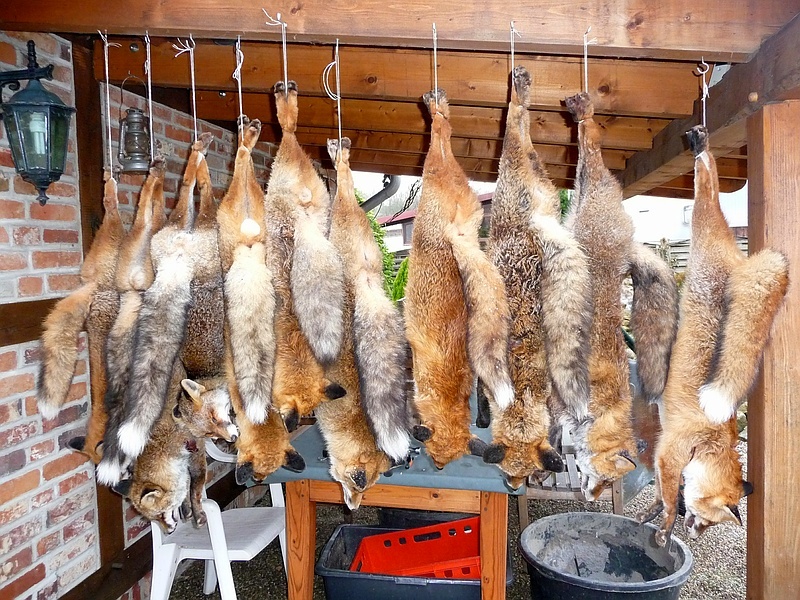 Torture and murder against foxes has a long tradition in Germany. And it starts again now. 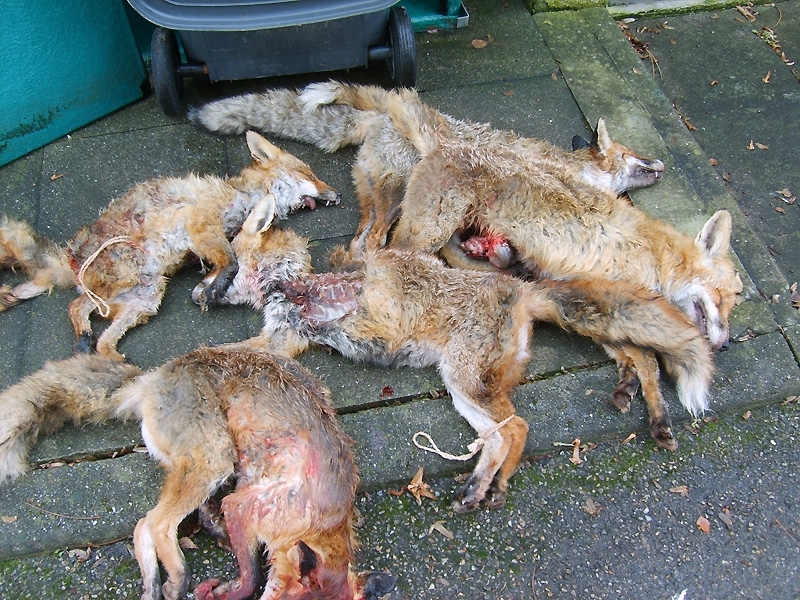 Nationwide, the hunters blow these days again to massive hunting for foxes. 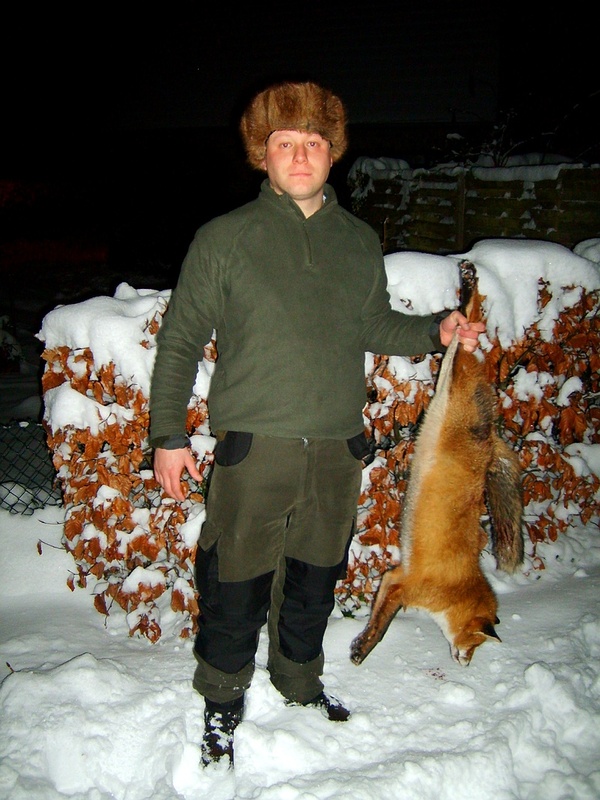 There are corresponding “action weeks” in almost every city, where every primitive and unrestrained “Huntsboy” of the German hunter gang can participate in the planned bloodbath these days. 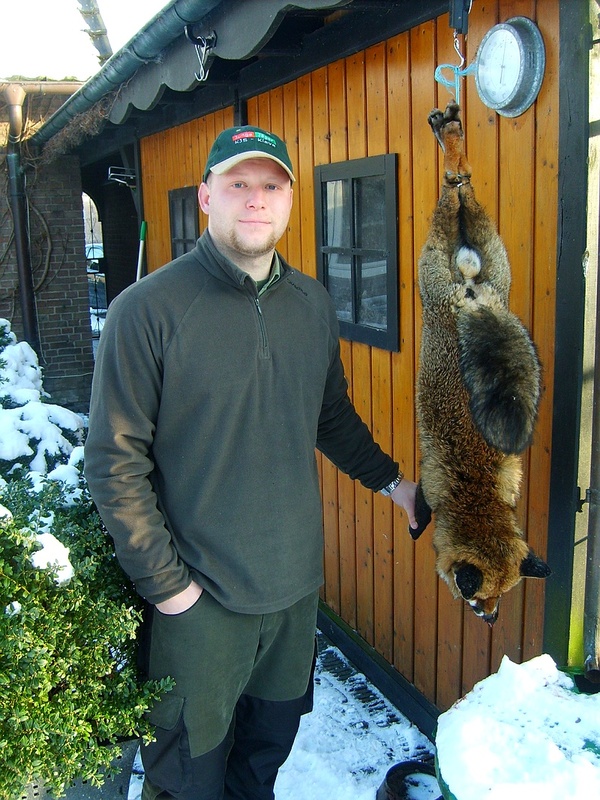 The cruel “hunter” souvenirs of the massacred animals, which are proudly and “traditionally” posted on every hunting blog, remind one of the Holocaust. The one who proves most fox tails is the shooter king. To this bloody spectacle belongs the horn blowing and the schnapps in front of it, in between and afterwards. What remains of the animals is decoratively laid “on track”. Arranged in series and limb, the carcasses are “pretty” next to each other. Many of them badly messed up with cracked pines and barrels or gushing guts. We have to imagine one thing: the animal shown in the photo is only the top of the iceberg. 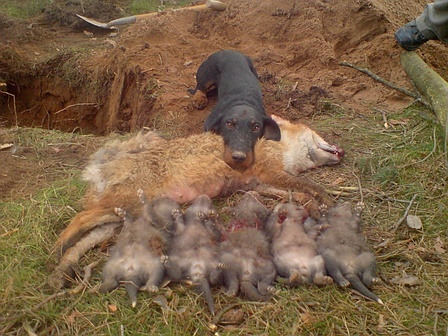 Because if the death gets the male dog after mating, which plays an important role in the later rearing of the boys, then later on the boys will die, and the mother will often die at the same time. 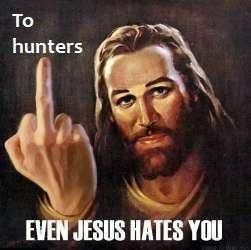 Never had our hunters easily massacred their potential victims than in those days. The otherwise shy and suspicious foxes are now in mating season, walking carefree, unaware and investing all their attention in actions that serve their survival. Which on those nights cost thousands of their heads. 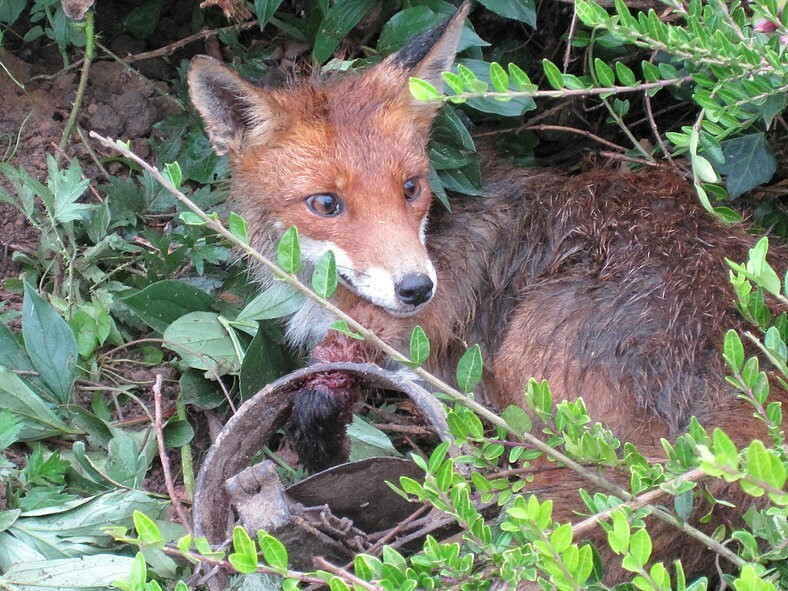 Now almost every remedy is right in the murder of the fox. In North Rhine-Westphalia anyway, where the new state government sets completely new, worse standards for nature conservation. 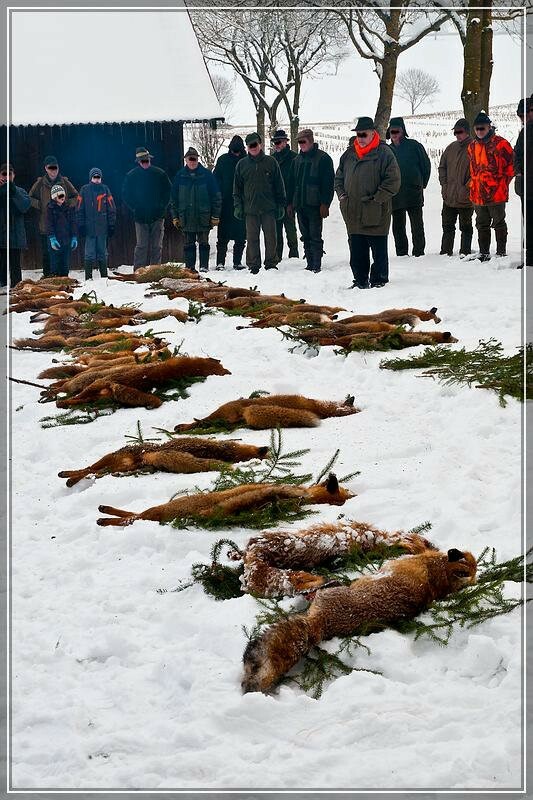 One has to be morally and ethically quite degenerate to enjoy such pictures of the massacred animals. 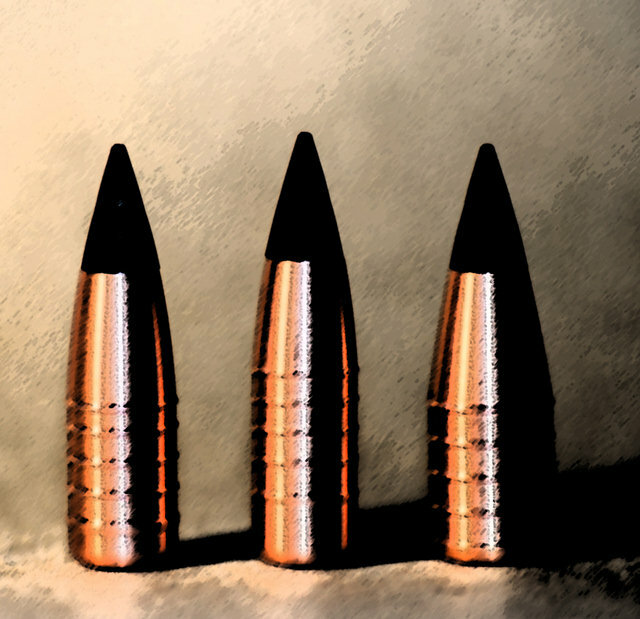 But the most of the 381,821 German sham owners with the license to kill, have proudly preserved this “ability” or even “cultivated” it! 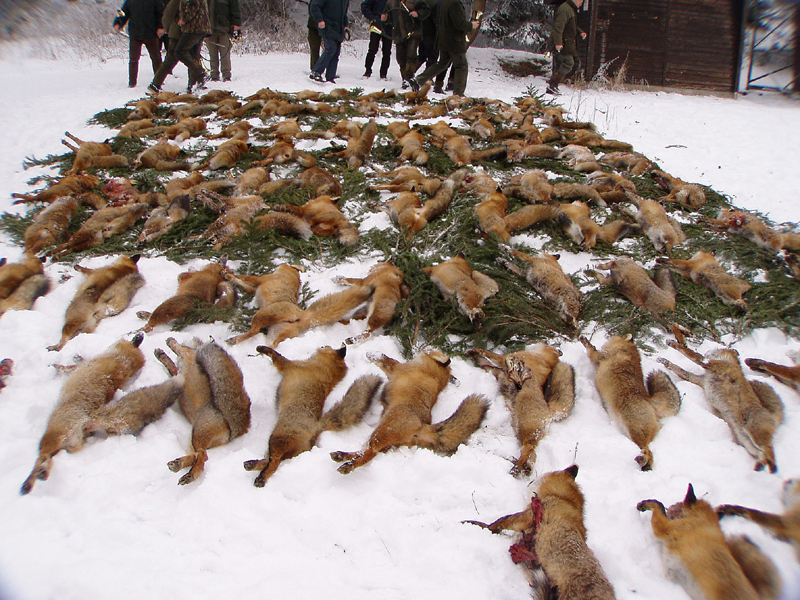 In all parts of Germany the so-called “Fox week” will take place from the 28th of January to the 2nd of February. Which is nothing but the terror of a minority of 0, 46% sadistic murderer against innocent and defenseless animals. And a population of over 80,000,000 Germans makes this terror possible with their “tolerance” which is nothing else than cowardice. That is today’s civilized Germany. And from this country other European countries expect understanding and empathy for the animals. But with good news, I can already complete my contribution. 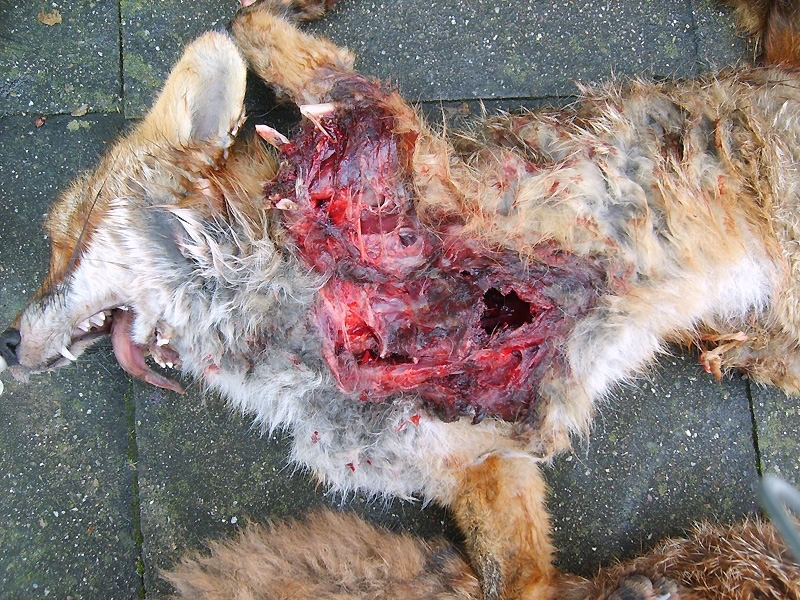 More than 40 organizations and initiatives in the field of nature conservation and animal welfare are calling for Luxembourg’s role model to be followed and the cruel and pointless fox hunt to be stopped. We hope and fight all together farther. NOTE – (for the full list and to view all the posts individually, go to the ‘Search’ bar at the top right and enter ‘Fox Week’ – this should then give you access to all of our past posts, including (WARNING) many graphic photographs.